AUGUSTA — Gov. 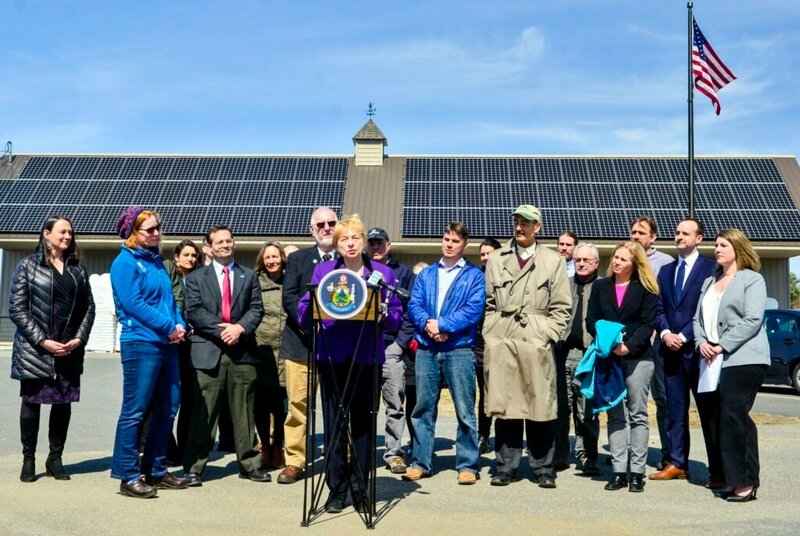 Janet Mills signed a bill Tuesday to allow Maine homeowners to continue receiving credits on their electricity bills for excess solar energy they generate and feed to the power grid. By signing the bill, Mills both ended the planned phase-out of the credit system for excess solar energy and rescinded a related requirement that utilities install a second meter on homes with solar energy systems. Maine’s solar energy policies have been in flux for years due largely to former Gov. Paul LePage, a Republican who led efforts to phase out “net metering” incentives utilized by solar-powered homes and businesses. That dynamic changed dramatically last November, however, with the election of Mills and Democratic majorities in both chambers of the Legislature. Solar energy advocates and installers have been pushing for years to rewrite LePage-era energy policies they said were holding back an industry that is booming elsewhere around the country. LePage argued that non-solar electricity ratepayers were subsidizing solar-powered homes and businesses through net metering. One of the major changes in the bill signed by Mills, L.D. 91, would repeal the requirement that solar-powered homes and businesses have a second meter installed to monitor the output of solar panels. Solar advocates compared that “gross metering” requirement to allowing grocery stores to charge for fruits and vegetables grown in home gardens. Mills signed the bill – sponsored by Rep. Seth Berry, D-Bowdoinham – at Rocky’s Stove Shoppe and Chimney Services, an Augusta business that utilizes solar panels.